Europe’s transformation from the dark ages marked the advent of enclosed land. Beautiful and orderly gardens were kept by the most wealthy as the topiary arts got their start. Ornamental hedges of all types were plentiful among the grounds of palaces, chateaus, and palazzos. 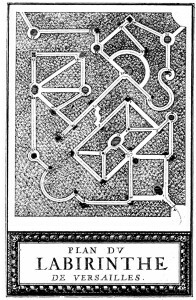 The prosperous people in the Renaissance merged the magnificence of Christian mazes, which were still a part of many cathedrals and churches, with their love for trimmed gardens. Common in the early days of countryside design, knot gardens were patches of aromatic plants designed to stimulate the nose as one passed by. Pathways were designed into the knot gardens to help the wanderer enjoy all the fragrances available. It wasn’t long before other types of trees and shrubberies were added into the mix. Native evergreen shrubs were used to border the courses through the gardens. Other fancier plots had imported plants and flowers. These knot gardens evolved to hedge mazes. A classic example of the hedge maze was the famous Labyrinth of Versailles in France. As part of the Gardens of Versailles, a large landscaped area west of the royal palace, the maze was created in 1665. As it was tended to over the years, thirty-nine fountains were added in various stations throughout the maze depicting scenes from Aesop’s Fables. These were constructed to help educate the son of King Louis XIV. By time the maze was completed there were over 300 sculptures. The fountains were the highlight of the Labyrinth of Versailles as the actual course held no major challenge. The path, bordered by five meter hedges, wandered in strait tracks with right and 45-degree angle junctions that weren’t designed to puzzle. If people got lost, it was because they were distracted by the beauty of the grounds. 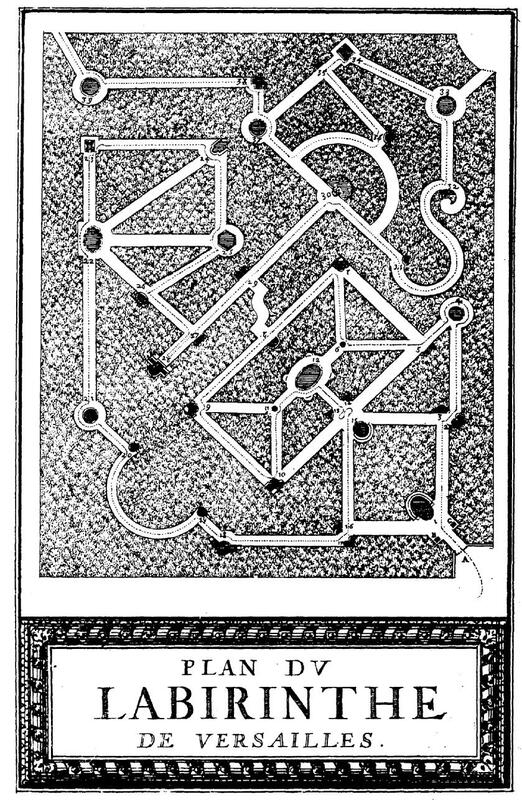 The maze became a tourist spot for visiting diplomats and nobility. Soon, similar fancy hedge mazes were popular throughout all of Europe.